The People Webcam - Be famous for fifteen minutes: stand here and get your picture taken. Say Hello to your friends and family back home with our live webcam image (People Cam). 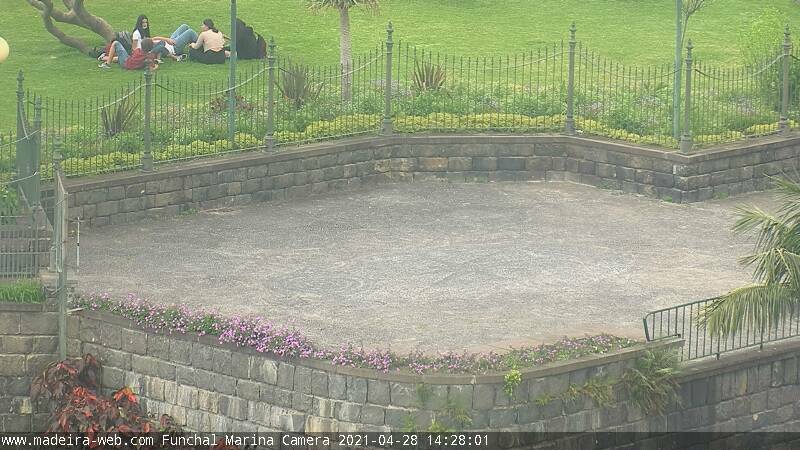 Every five minutes our Webcam zooms in on the viewpoint shown below in Santa Catarina, which is located on the right-hand side of Avenida do Infante as you enter Funchal from the west. You will see our Webcam perched on the Marina Shopping Complex on the ocean side.